Ask just about any plug-in hybrid or electric vehicle owner that you know, and it’s likely that they will have heard of range anxiety. It is the term used to describe the fear of a vehicle running out of charge while on the road, therefore leaving the vehicle and its passengers stranded. The good news here is that a growing number of states are making moves to ensure that range anxiety is a worry of the past. There are many new EV charging station locations in Connecticut, and as you can see from the map that we have provide on the right, you can travel just about anywhere in the state and be able to reach another charging station well before your charge dissipates completely. That’s especially true for the new electric offering from Mercedes-Benz. The 2015 Mercedes-Benz B-Class boasts a range of 115 miles, which means that it could travel across the entire state before needing a charge. Even with a lesser-equipped electric vehicle, however, owning an electric vehicle in Connecticut is undoubtedly practical. 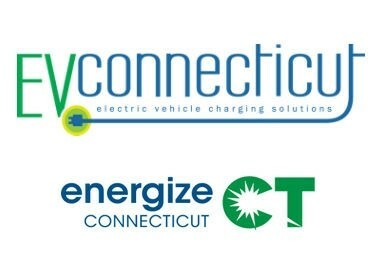 According to EVConnecticut, which is a partnership between the Connecticut Department of Energy and Environmental Protection and the Connecticut Department of Transportation, within in near future, there will likely be an EV charging station within ten minutes of any location in Connecticut. It is all part of the goal to make Connecticut even more of a range confident state. Again, range anxiety is already less of a concern than it has been in the past, but with the push for more EV chargers, it will soon be gone for good. The recommended charger for the majority of plug-in hybrid and electric vehicles is a Level 2, which is a 240-volt charger. As it is the most common charger, it’s no surprise that Connecticut has them spread all throughout the state. If you refer back to the map, you can see that there is a Level 2 charger roughly every 20 miles. If you are around the south west side of the state, you can also take advantage of a real quick power up, as there are two DC, or direct current, fast chargers available for public use. 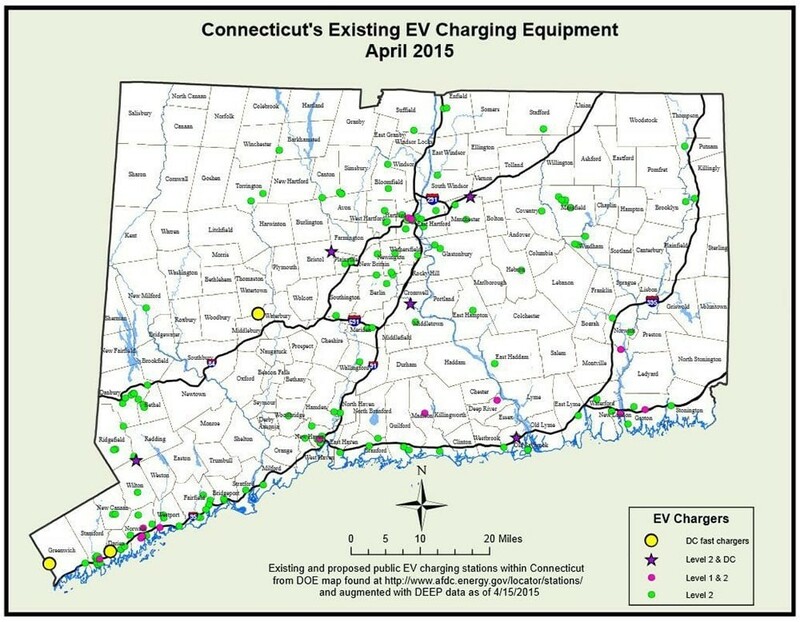 Although the multitude of EV charging stations in Connecticut make owning an electric vehicle practical, the most beneficial part of the ownership process is that the vast majority of the charging stations can be accessed at all hours of the day and cost absolutely nothing to use. So, not only do you not have to pay for gas, but you don’t even have to pay to charge. It’s one of the many benefits that electric vehicles provide. 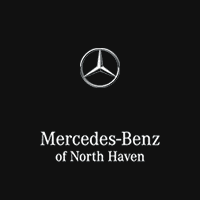 If you are interested in getting yourself into a new electric vehicle and want to take advantage of the EV charging station locations in Connecticut, be sure to get in touch with us here at Mercedes-Benz of North Haven. As we mentioned earlier, we currently have the B-Class in stock and would be more than happy to fill you in on the capabilities of the revolutionary all-electric offering. Schedule a test drive today.